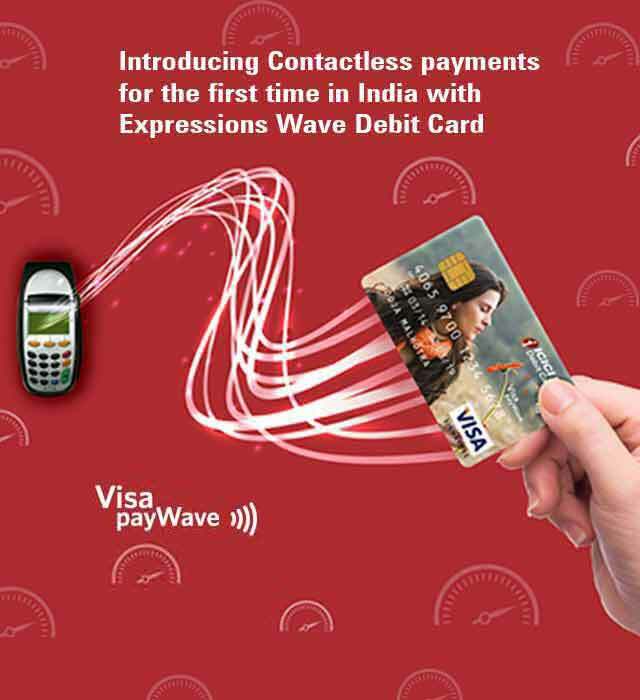 ICICI Bank Expressions Paywave NFC Card is a revolutionary debit card which can enable you to make quick contactless payments. Expressions Paywave NFC Card entitles you to a world of Speed, Customization and Security. Speed: Your Expressions Paywave NFC Card comes with a built-in payWave technology to make contactless payments at retail outlets. So just Tap and Pay. Customization: Your ICICI Bank Expressions Paywave NFC Card is customized with a design that you select from a gallery of more than 160 images or you can upload your favourite picture online. Security: Expressions Paywave NFC Card does not leave your hand. You can just wave the card at a distance of 4cms from the merchant terminal and make the payment securely. This unique Debit Card is brought to you for the first time in India by ICICI Bank in partnership with Visa.